Dubai, UAE (October 30, 2018): When the festivities are around the corner, there is a lot of hustle to decorate your house with the latest trends or find the perfect gift for your loved ones. Upscale furniture retailer, Western Furniture, has put together some thoughtful and beautiful, purely decor accents for your home decor obsessed friend or family member. The furniture retailer's showroom showcases a captivating collection from the furniture industry's cr�me de la cr�me Italian brands such as Natuzzi Italia, Reflex Angelo, Flou, Gruppo Tomasella, Gamma, Calligaris, Draenert and Bonaldo. Customers can find an eclectic collection of home furnishing products designed by various well known personalities enhancing the visual appeal of every room. 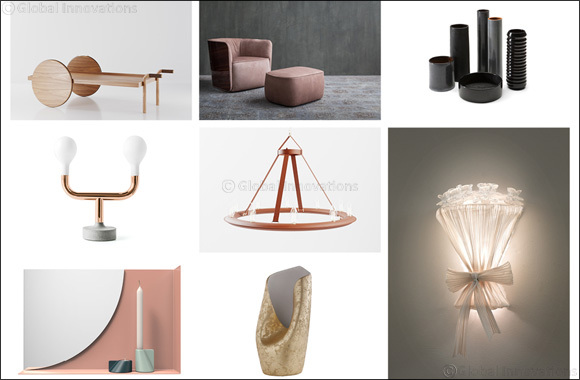 The gift guide includes products such as chandeliers that perfectly pair trendy style and retro inspiration - lighting up the whole living room with an air of sophistication and celebration; a set of classy candle holders which add a touch of elegance and accentuate the natural beauty of candle light; lighting fixtures that drastically alter the atmosphere of the room or throw pillows as they are versatile enough to complement a variety of decor styles, set a cheerful mood for the occasion and add tons of personality to the couch. Other perfect home decor gift ideas to add a unique touch to the space include serve ware, cutlery, table linen, bed linen, place mats, napkins, crockery, chinaware, glasses, decorative vases, collection of table and wall clocks and a lot more. Whether you are looking for something functional, classy or artsy, you are sure to find it at Western Furniture's showroom. Visit our showroom to look at various gifting products to match any style or budget.